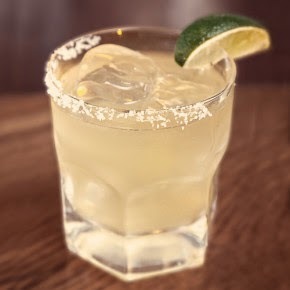 When celebrating Cinco de Mayo, having a good cocktail in hand is a must! ¡Arriba, Abajo, al centro, a dentro! The cocktail recipes I will be sharing with you are made with Wansas Tequila, I was introduced to Wansas while at a Mariano's Tastemasters event and was immediately hooked. In addition, my good friend D.C. Crenshaw is the el hombre behind this amazing tequila! Enjoy! ¡Salud! Directions: Add all ingredients into a shaker with ice. Shake and double strain into a salt-rimmed rocks glass filled with fresh ice. Garnish with a lime. Directions: Combine Tequila, Creme de Cassis, and lime juice. Shake with ice and strain into a collins glass with fresh ice. 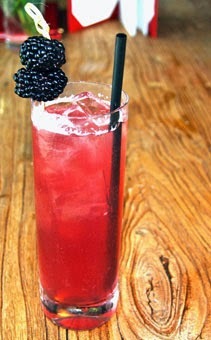 Top with ginger beer and garnish with a fresh blackberry.